The lettuce was a success. I found the Black Seeded Simpson to be the best producer. The Lollo Rossa was good, but produced much less than the others. 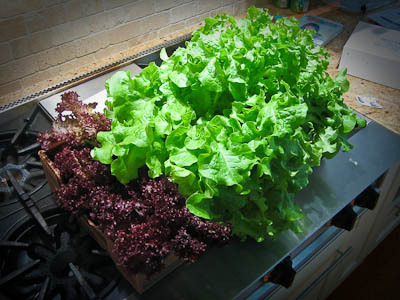 The Salad Bowl was a good producer, but the leaf form is not as full as Black Seeded Simpson. Next go round I’ll probably plant mostly Black Seeded Simpson with a couple of Lollo Rossa for variety. Love the color of the Lollo Rossa. I have to admit, peppers are one of my favorite. 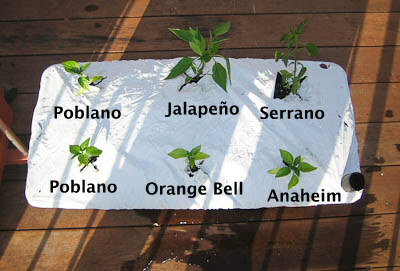 But I have had difficulty growing full sized peppers. Any suggestions?